Posted by Administrator on December 20, 2017. Mako Vunipoloa and Manu Tuilagi made headlines of a different nature in early November when they urged their England teammates to each donate £1,000 to the Samoan Rugby Team ahead of their Test Match at Twickenham on November 25 th. Both players are renowned for their physical and sometime brutal Rugby on the pitch but the somewhat surprising request reflected their softer, emotional side instead. Both of Pacific Island heritage, they now play proudly and skillfully for England and the disparity of having England players each receiving £21,000 to each Samoan player’s £600 for the Test must have tugged strongly at their heartstrings. Added to this, Samoa Rugby Union’s official statement that they had become “insolvent” and were unable to make bank payments along with the undeniable history of Pacific Island Rugby players’ woes when it came time to signing Rugby contracts abroad, Vunipoloa and Tuilagi did what brothers always do for each other on the Rugby field: they stood up and supported each other! At the end of the day’s play, the RFU ended up committing a £75,000 goodwill gesture, although it is still unclear whether the money will be wired to Samoa Rugby Union or the Samoan players directly. In light of recent developments, we should all hope the money goes to those who deserve it most and in this case it is unquestionably the Samoan players that played England. Another interesting bulletin in international Rugby news has been Dan Carter’s decision to move to an undoubtedly very lucrative contract to play at Japanese club, Kobe Steelers next year. Mr. Boudjellal mocked Carter’s move saying that he was in it for a “juicy contract” and that Carter would play “…ten matches including eight to play against one-legged players” at Kobe. We could argue for days about Boudjellal’s intriguing vocabulary, but instead let us focus on how money has changed the Game of Rugby instead. Since taking the first steps to allowing payment to players in 1995, Rugby has arguably changed for the better. The money spinning around in the Game has led to players vying to play better because they know that there is a living to be made of it, if one takes the professional attitude to it. This has undeniably increased the overall quality of the Rugby we see in club, provincial and national competitions globally. And how many good, fruitful years does a Rugby player have? 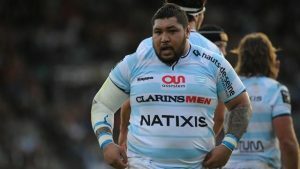 It can be argued that with the physical and mental demands of top tier Rugby, players deserve to be able to make optimal amount of money for the future of themselves and their families. It can also be argued that money has drastically shifted Rugby’s image of integrity and playing for honor to the darker side of the spectrum with recent news of drunkenness, sexual promiscuity and general debauchery coming from both Northern and Southern hemisphere players alike. It is as if ONLY Rugby players are highlighted when newspapers wanted to prove the biblical passage that “money is the root of all evil”. But money at the end of the day is only a tool of exchange of value. 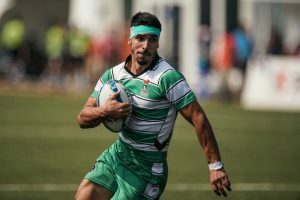 Is not the sight of Pacific Island players donning their jerseys to face Rugby giants, risking their bodies and their reputations more valuable than their suited Union officials who clearly mismanage money? Is not a senior player’s dedication to the Game, his fortitude and discipline and the beauty he brings to each game more valuable than a thousand club bosses? 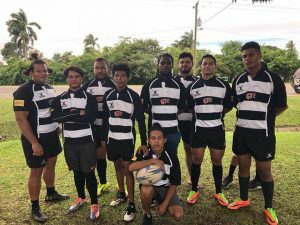 These players come from the core, grassroots, down to earth Rugby scene where friends and family supported them throughout years and years of difficulty and struggle. These are the players that have pushed their limits beyond the edge, every single day of their lives and now they deserve to be treated fairly and respected for their financial decisions rather than judged for their perceived gluttony. He closed by saying that if Rugby remembers this, it will not only get bigger and bigger but we will contribute to making a better world. At the end of the day, some players will make money from Rugby and others will not but all will experience a unique joy and happiness that no other Game can give.